Hello! Just dropping by the blog to say that I’m still alive. However, we are in a middle of moving from our little apartment to a bigger condo! So, the progress on the simulation has slowed down for a bit. 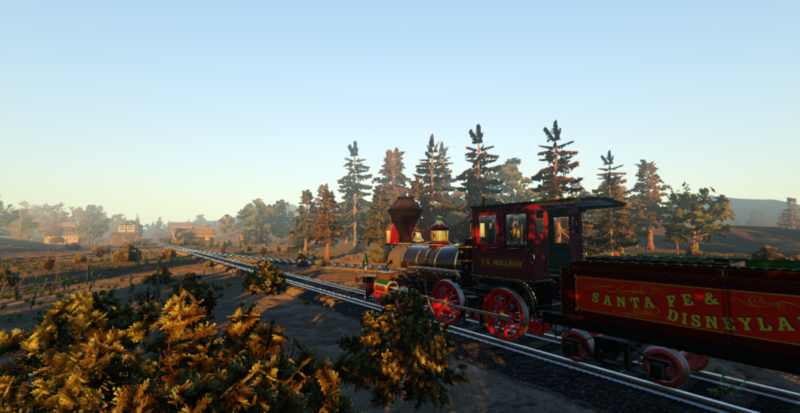 But I can confidently tell you that the “steam engine simulation” part of the simulator is at least 90% finish! All that’s left is to finish the Disneyland layout, write the manual, and we’re off to release! Why’s the work on the Disneyland layout so time consuming? Well, the research on the layout and buildings has to be done, and every building has to be custom made, with custom painted texture map. Even the berm size and location, fences along the tracks, and the foliage along the route, has to be researched and recreated.